Some reports said that the retired Marine Corps general's relationship with Mr Trump had deteriorated. But Mr Trump described Mr Kelly as a "great guy" and said a replacement would be named "over the next day or two". "He's been with me almost two years now, between two positions," Mr Trump said. "I appreciate his service very much." In total, 28 people have resigned or been fired from the White House during Mr Trump's administration. Last month Reuters news agency quoted a source as saying that Vice-President Mike Pence's chief of staff Nick Ayers was a possible contender for the chief of staff role. 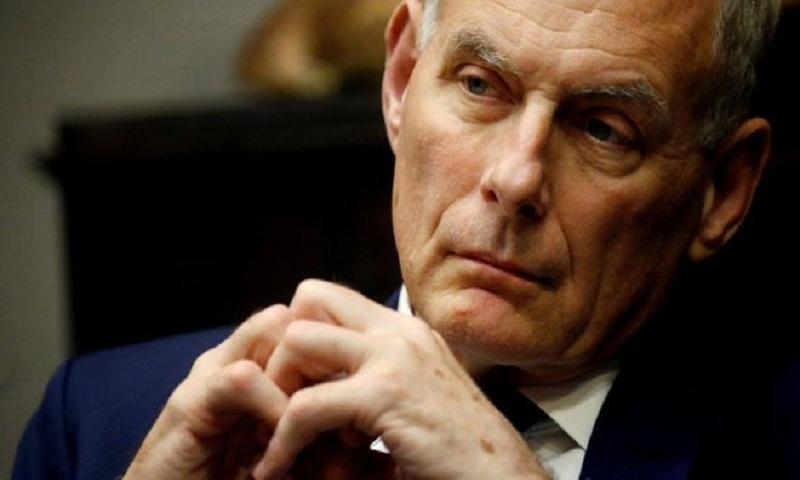 Earlier this year Mr Kelly was forced to deny that he had called Mr Trump an "idiot" after the quote was included in a book about Mr Trump by the veteran investigative journalist Bob Woodward. Mr Kelly is said to have used the description repeatedly and also allegedly said that "it's pointless to try to convince him of anything".